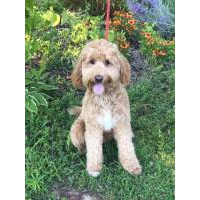 Bingo, Dad to Biscotti's goldendoodle puppies. 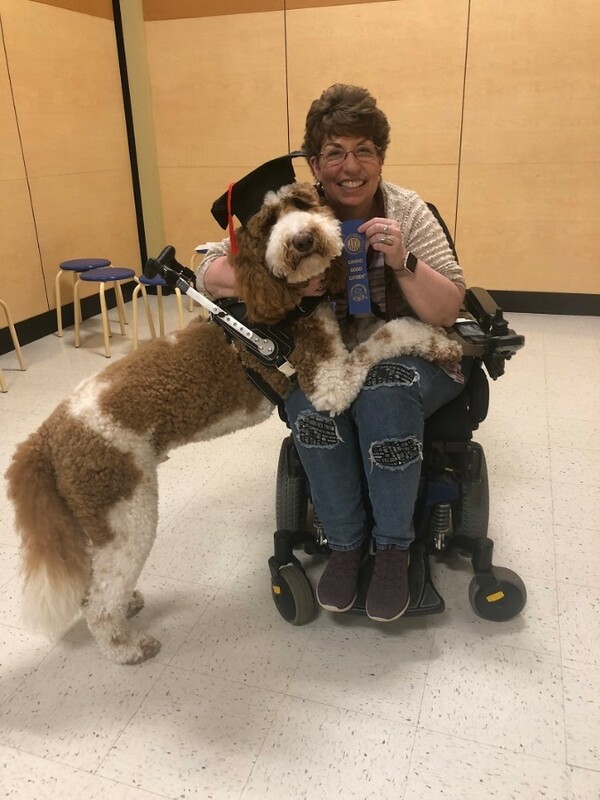 So proud of Kim and Radar! Radar and Kim are a great team!! Biscuit's litter of Goldendoodles. Ready 4-8-2019 at 8 weeks old. Nonshedding and allergy friendly coats. Perfect in every way. Springtime puppies- Ready for the summer! Super cute! Accepting deposits now. Ready to make a wonderful addition to your family on 3-29-2019. Biscuit's litter of Nonshedding and allergy friendly puppies. Ready 4-6-2019 at 8 weeks old. Puppies will be up to date with shots, deworming, two-year health guarantee and be microchipped. 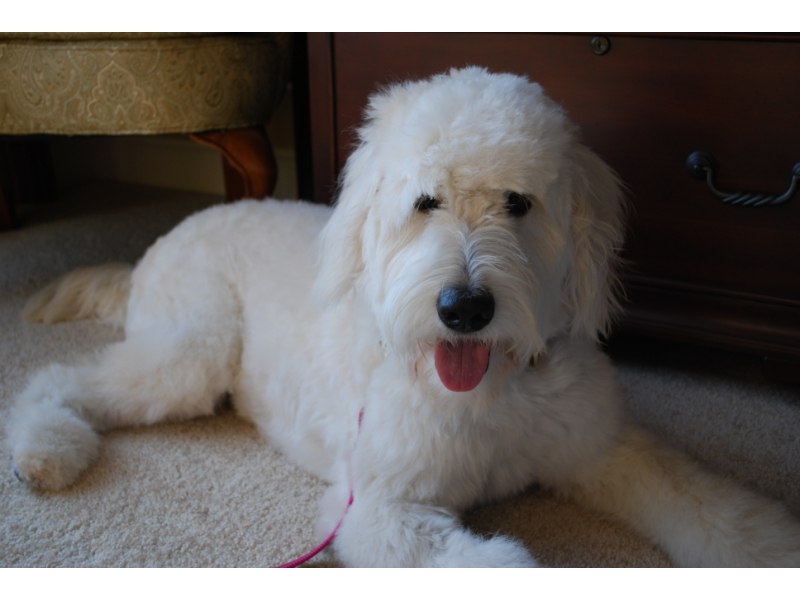 Our Goldendoodles are raised in our home with deworming and are well socialized. The puppies will be up to date with their shots & deworming. We offer a 2-year health guarantee! Mom (Golden) is AKC registered and Eye CERF'd clear. 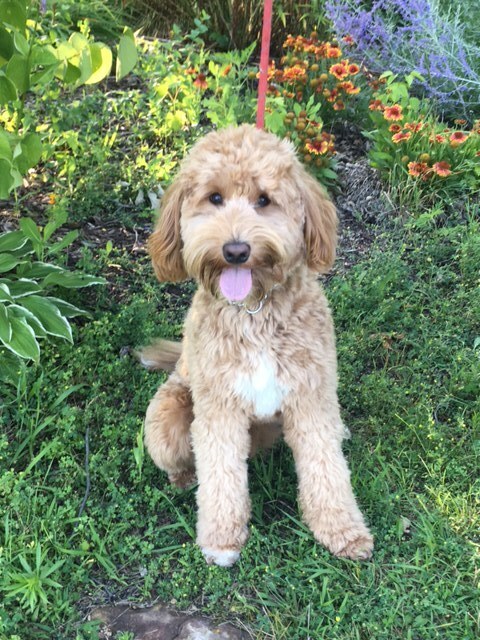 Dad (Poodle) is AKC registered, and has OFA Elbows, PENN Hip tested, Eye CERF'd clear and has been tested for vWD and SA. Goldendoodles are known for exceptional intelligence and trainability, they're low to non-shedding coats (good choice for allergy sufferers!) 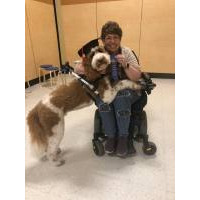 and they excel as service/therapy dogs and in canine sports. Great for families with children. 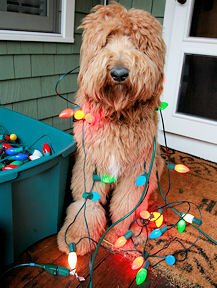 Inquire about Goldendoodle stud service.